This is the final of three posts about the day I spent birding central Florida with Doug Gochfeld back in January at the Space Coast Birding and Wildlife Festival. You can read the first one, about our time at Three Lakes Wildlife Management Area, here, and the second, about birding Joe Overstreet Road and Kissimmee Lake, here. After we left Joe Overstreet Road by taking a left to head north on Canoe Creek Road, we were relatively happy with our day’s birding so far, though we had missed a couple of our target birds. 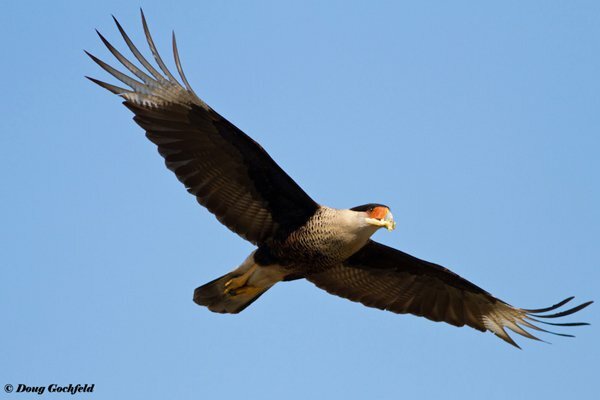 Fortunately, we quickly remedied one of our dips when a Crested Caracara made an appearance on the side of the road. We pulled off at some distance from the bird, which flushed when a passing car got too close, and flew past us at close range. I did not have my camera ready, much to my chagrin, but Doug sure did. We continued north until we arrived in St. Cloud on the southern edge of East Lake Tohopekaliga, which the locals call East Lake Toho, and our final birding destination for our central Florida run, Kaliga Park. 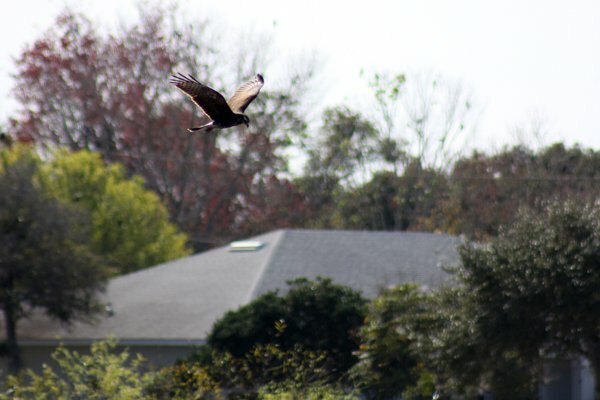 We had one goal and one goal only here – Snail Kite! Fortunately, they were easy to spot hunting for snails over the marshy margins of the lake though their range left me with unsatisfying pictures. We didn’t bird the park terribly hard, happy with our Snail Kites, but we did come across a Yellow-throated Warbler, a bunch of Palm Warblers, Sandhill Cranes, White Ibis, some Limpkin, and a bunch of Brown Anoles like the one below (hat-tip to Shawn Billerman for the ID). We made our way back to Titusville in time to check out the massive wigeon flock at Merritt Island National Wildlife Refuge and pick out seven Eurasian Wigeons. Your lizard looks like a Brown Anole (Anolis sagrei). 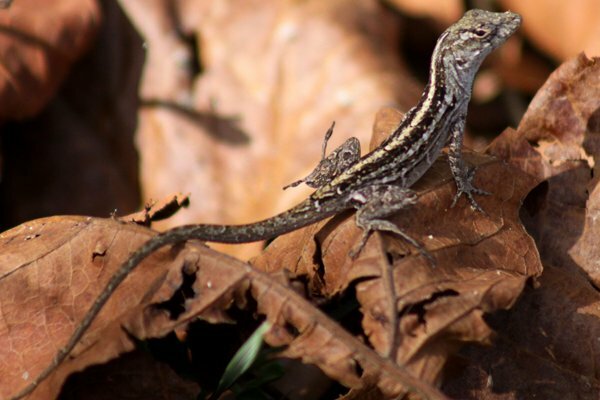 They are an introduced species, and are more common than the native Green Anole (Anolis carolinensis) in many places down there. Thanks, Shawn. Your identification has been incorporated into the post. Do Snowy Owls really belong in genus Bubo?